Although the Olympics is an opportunity for the world's greatest athletes to show off their skills on the world stage, the near-ubiquity of talent being showcased in Rio can make viewers at home forget just how impressive these athletes are. Due to the hyper-competitive nature of the games, it's also easy to focus on perceived scandals instead of athletes' skills and accomplishments. 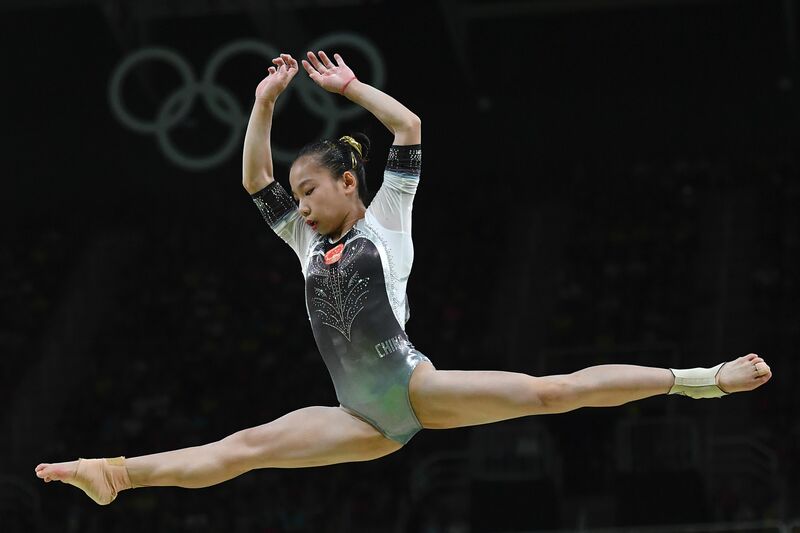 The youngest member of the Chinese Gymnastics Team, Wang Yan, has dealt with her fair share of controversy during this year's games, mostly having to do with her age. In reality, however, the rumors are taking away from what viewers should really be focusing on: her talent. At just 16 years old, Wang is not only the youngest member of Team China — she's also the youngest athlete competing in the vault finals for any country. Furthermore, the athlete has been at the center of an age-related scandal, with rumors circulating that she and other Chinese gymnasts are younger than they claim to be. Many other gymnasts, including those from Team USA, are teenagers just like Wang. Even so, they haven't been subjected to rumors surrounding their ages, rendering the allegations incredibly unfair towards Team China this year. When it comes down to it, the Chinese team does not deserve to be on the receiving end of these rumors. We've already seen how rumors have negatively impacted U.S. gymnast Gabby Douglas' time in Rio — it's not fair to levy unfounded accusations against any Olympian, not just those on Team USA. Although the Chinese team placed in third at the team all-around on Tuesday, Aug. 10, and Wang finished in sixth place during the women's individual all-around on Aug. 11, the 16-year-old has some serious skills. When asked by the South China Morning Post if she had ever considered giving up gymnastics to pursue a regular education and career, Wang had a simple answer: no. "I have already started my journey in gymnastics and I will definitely keep going and keep training," Wang told the Morning Post. "I am not going to think about school. Perhaps I will think about that when I retire." It should be perceived as incredibly impressive — and shouldn't be so controversial — that Wang made it to the Olympics at such a young age. It gives her plenty of time to hone her skills before the 2020 Tokyo Olympics. Four years from now, many of the gymnasts competing at this year's games in Rio may not be in Tokyo: they may succumb to injuries, they may lose their edge, or they may even lose interest in competing. But Wang has made it clear that she's not going to be done any time soon, and we'll definitely be seeing more of her in years to come. And that type of determination should be the main talking point among Olympics fans.